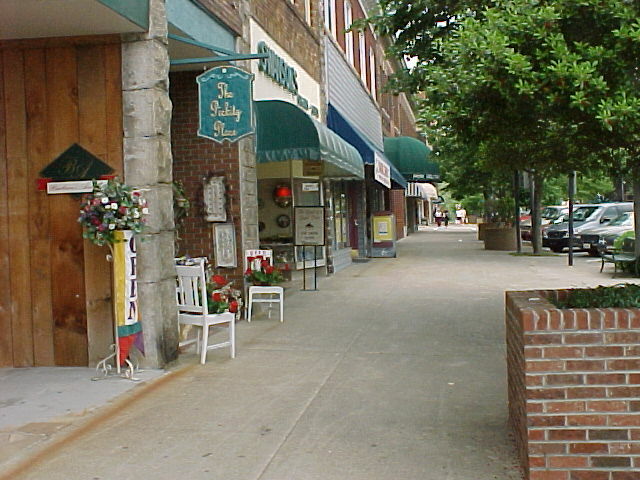 Hendersonville is the county seat for Henderson County. This town is a mix of history and today. A number of large historical homes are now Bed and Breakfasts. Downtown has been redesigned to make it a place to walk and shop and eat at restaurants. Hendersonville is popular as a retirement center and boasts facilities for seniors such as Opportunity House where many activities take place and newcomers can get acquainted. Hendersonville is not without its younger citizens and it is proud of its vibrant schools including Blue Ridge Technical College. Historic Hendersonville is located in the Western North Carolina Mountains between the Blue Ridge Mountains and the Great Smokies, 22 miles south of Asheville, and 15 miles north of the North-South Carolina border.